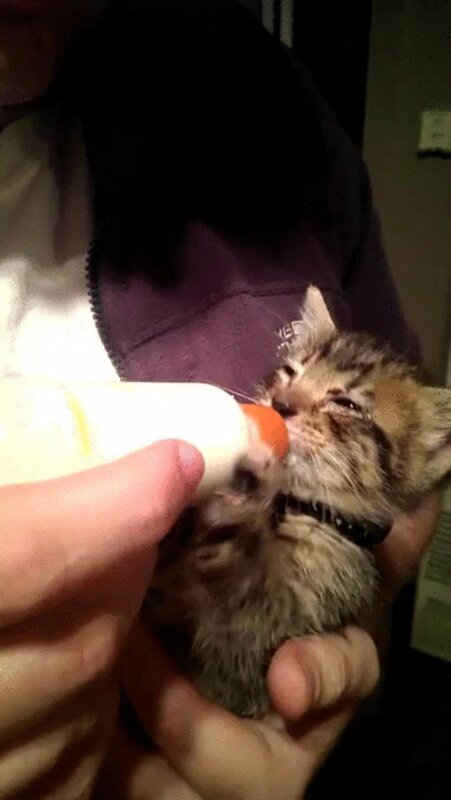 Tiny Kitten Would Like Her Bottle Back. Right Meow. Has a waiter ever tried to take your plate away before you were done eating, and you were like, "WAIT NO NO NO STOP?" Food is sacred. That's exactly how this precious little kitten feels. She's super hungry, and her human tries to take away her bottle before she's done. She just really, really needs that bottle. Right now. 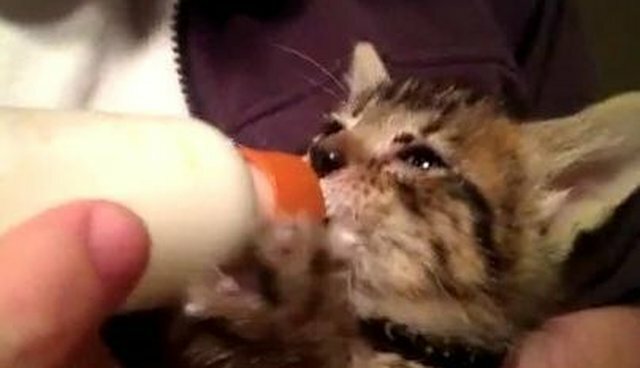 Really, there is nothing cuter in the world than baby animals drinking from bottles.